During the night of February 17th 2013, the Castle Ford dealership in Pincher Creek fell victim to a series of thefts and acts of vandalism. A number of wheels were removed from new pick-up trucks as well as an air cooling system. These items were taken away in an unknown vehicle. Several dealership vehicles were damaged in the process. 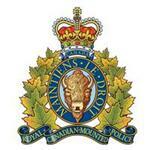 The Pincher Creek RCMP is seeking information in regards to any person or vehicle activity on or around the Ford dealership during that night. Any information should be directed to the Pincher Creek RCMP office at 403-627-6010.